Many recent economic indicators are pointing to a slowing of the U.S. economy. This has raised the speculation that we may be headed for a double dip recession. As much as we may like steady economic growth, history has proven that the economy is cyclical. There are periods of economic growth and decline. There are also times of boom and bust. While there have been several recessionary periods, the last double dip was thirty years ago when the economy slowed in late 1981 after rebounding from a recession in 1980. 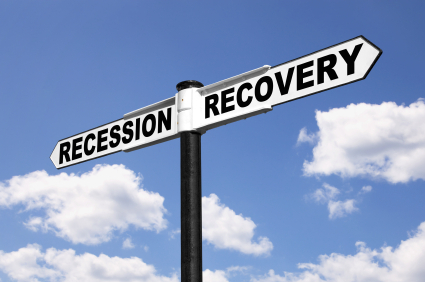 The most recent recession may have officially ended in the summer of 2009 as GDP stopped declining, but that doesn’t mean that all has been well with the economy for the past two years. Growth has been rather meager and sporadic, and there certainly hasn’t been any boom in economic growth to restore the trillions of dollars of wealth lost from 2007-2009. Here are some of the recent economic statistics that make the current outlook a little bleak. Time will tell if we have a double dip recession or be able to avert it. Irrespective of the economic terms of recession and recovery, the immediate economic outlook is not exceptional. Things may not get much worse, but I don’t think things are going to change all that dramatically in the near future. I believe there are three primary factors that will continue to hinder our growth. Unemployment – It’s hard to have strong economic growth when 10% of the population is out of work, and another 5-10% have either given up looking for work or are underemployed. Housing – Aside from the fact that housing has historically been a leading contributor to economic recovery, current market values put more people at risk for default and make it difficult for people to relocate. Additionally, your house is often your largest asset, and it’s hard to have much confidence in the economy when you consider how much money you have lost and continue to lose on your investment. National Debt – The magnitude of the debt and annual deficits pose a substantial risk to the country and the economy. The debt is manageable because interest rates are at historic lows. A return to even moderately normal rates would place tremendous pressure on the Treasury and a rise in government interest rates will reverberate through the entire economy. Unfortunately, there is no easy fix to any of these problems, and our political leaders have not demonstrated the ability or willingness to seriously tackle the issues. Thus, I think the best we can hope for in the near term is an economy that sputters along with relatively stagnant growth overall. The worst could be traumatic. These are a few of my thoughts… what do you think? Do we really want to be European? U.S. Credit Rating Outlook – Is the Third Time a Charm?